Which Online Backup Services Offer Unlimited Online Storage? If you have lots of data and are looking for an online backup service that offers unlimited online storage then here are some options for you to consider. Monitoring backup quota usage or getting dinged for online backup overage is a hassle, frustration and can be expensive. There are not that many vendors offering an unlimited backup package, but here are three services that we do recommend for you to consider. MyPCBackup is a British based company with server locations in the United States also. With a recent server upgrade, MyPCBackup is faster than ever before. Having an unlimited backup plan is something that MyPCBackup really stresses, this is what they do. They keep the cost as low as possible by offering certain other options as a cost upgrade. Most users probably find their basic service is all they need and pay the minimum fee, but if you want more than one computer, for instance, that is an ala carte upgrade. MyPCBackup does have a sync folder feature that will synchronize files between computers on your account. 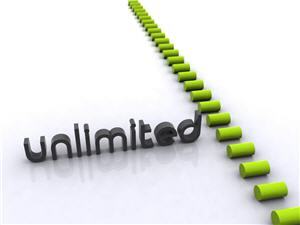 Some companies confuse the terms unlimited online backup and unlimited online storage. To us, storage means that you do NOT have to have a file on your computer for the backup service to store it on theirs. Storage is how MyPCBackup works. They never delete a file on their system just because it goes missing on yours. After all, you may not realize it disappeared or was accidentally deleted within the 30 day window offered by other companies. Learn more or Try MyPCBackup now! LiveDrive is another company that offers unlimited online backup but not “storage”. With LiveDrive, there is a 30 day recycle bin so that any files that are deleted from your computer are available to be restored from their online servers for up to 30 days. After that, it’s gone. Like MyPCBackup, LiveDrive is unlimited backup for one computer, additional computers incur an additional smaller upcharge. With LiveDrive’s basic service there is no synchronization feature between computers on your account. Learn more or Try LiveDrive now! Carbonite is a well known name in the online backup service arena, they were one of the first to get involved, do the job right and survive the marketplace. Carbonite, like LiveDrive is an unlimited online backup service not unlimited online storage. Any files that are removed from your computer for whatever reason will be deleted from your online backup account at Carbonite after 30 days. Another distinguishing feature between Carbonite and, say, MyPCBackup is that Carbonite will NOT backup files on your external hard drive using their basic home version. They allow that only on their small business plans. As with ALL backup programs, offline or online, always check to make sure that you know what is backed up and what isn’t. With Carbonite files larger than 4GB can be backed up manually but will not be backed up automatically. This may not affect most people but since you are probably reading this because you have LOTS of data to backup we want to make sure you are aware of that fact, just in case. Carbonite is unlimited backup for one computer; no synchronization either. Learn more or Try Carbonite now! Filed under Online Backup and tagged unlimited online storage.